Eve Online is a subscription-based MMORPG, set in a science fiction space setting. It has over 500,000 subscribers, a very impressive number for a P2P game. This only shows how great this space simulation game is. Although there's no replacing this absolutely fantastic game, you might be looking for other games like Eve Online. You are going to find here 5 alternatives that also offer enjoyable gameplay, stunning graphics, and a space setting that will satisfy your affinity to galaxies and heavenly bodies. Players are consistently hooked with the game because of the enormous amount of things that can be done. You can choose your in-game profession, participate in exciting PvP matches and enjoy the game's unique character advancement system. The title also has what is perhaps the most vast game world in any MMORPG, with more than 5000 star systems and over 2500 wormhole systems. With in-game content this huge, you are always going to have something to explore. Sign up for a 14-day trial and play EVE for free. If you are searching for a game like Eve Online, Perpetuum should be the first one on your list. It closely resembles EVE, but you may prefer Perpetuum if you want to pilot remote-controlled Mechs instead of flying through space with ships. A variety of in-game professions are available to players, from mining to artifact hunting. You can also engage in intense PvP battles with other players. There are certain places where you are safe from attacks by players while other areas are essentially PK environments. Perpetuum has stunning graphics, and you will be constantly amused as you watch your mechs throw out their skills with beautiful effects. 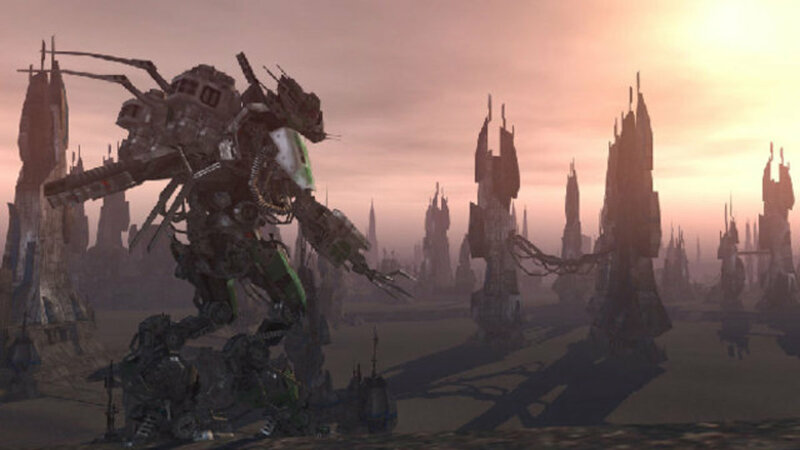 Perpetuum is definitely a game worth checking out. Now if you are looking for a free game like Eve Online, then you should check out Star Conflict. This game will remind you of arcade-style space shooter games, but it also offers various playable modes that are extremely fun and addictive. At the start of the game, you are asked to choose one of three factions, namely: Empire, Federation, and Jericho. You are also given a free ship, which you can eventually replace as you gain more money to buy a better one. New ships can also be unlocked as you level up your faction rank. As with other free to play games, you can also use real money to buy ships with better stats. The greatest feature of Star Conflict is its PvP mode. Battling it out with other players is very fun, with various objectives that make the matches more challenging. For instance, you sometimes need to wipe out the entire enemy team in order to win. 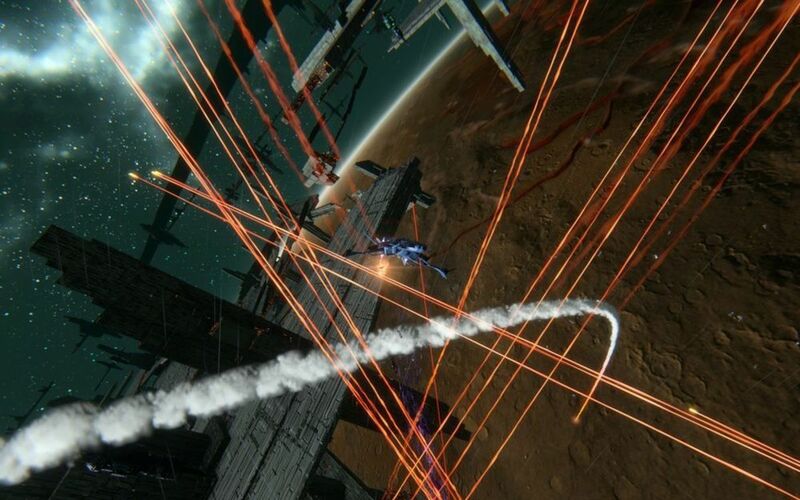 Create an account and play Star Conflict now. 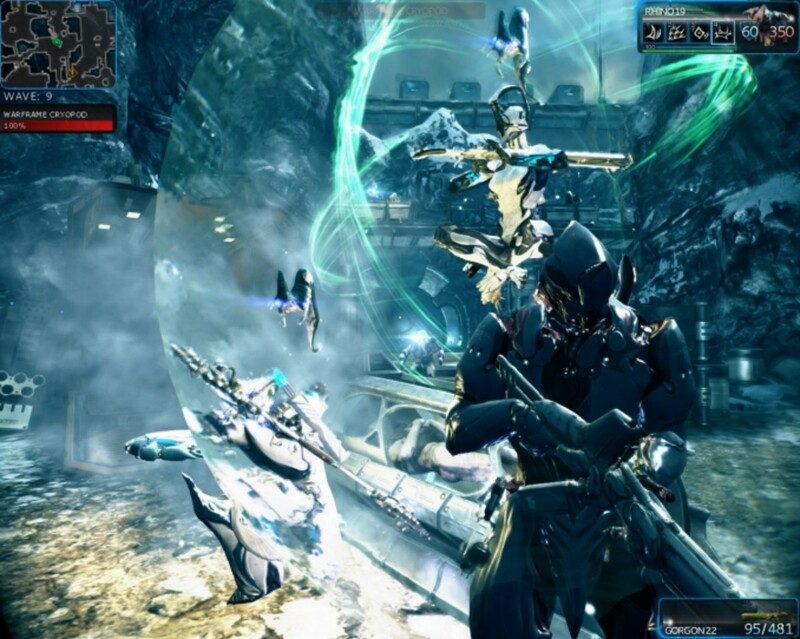 Warframe is a free to play, third person shooter game set in the far reaches of outer space. In this game, players control a member of the Tenno, a race facing the threat of extinction after a war with the Grineer. A warframe is an advanced armor with special properties, essential in the fight against the invading enemies. If you are a fan of co-op games, Warframe wouldn't disappoint you. You can team up with up to 4 other players to complete various missions, giving you experience points and other rewards to level up your weapons and armors. The combat system is very smooth and you can really feel your character jump and stride, attack and whack the heck out of enemies. Overall, Warframe is a fun and exciting game that's well worth playing. 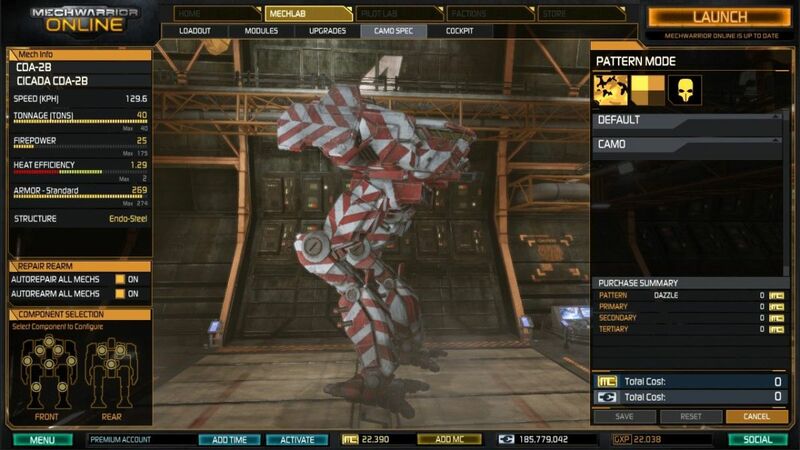 MechWarrior Online is a new first-person shooter MMO released in the summer of 2013. Gamers who love shooter games and sci-fi are in for a good treat, as MWO has a lot of features to keep players entertained. Players can choose from up to 12 BattleMechs, each with its own set of weaponry and ammo. Your skills are going to be put to the test as you battle it out with other Mechs. You need timing and skill to know when to attack, as spamming all your skills like a madman will cause you to overheat, effectively shutting your system down, leaving you helpless in the battlefield. MechWarrior Online is a thoroughly enjoyable game, especially once you have mastered your piloting skills and equipped your mech with the right gears. 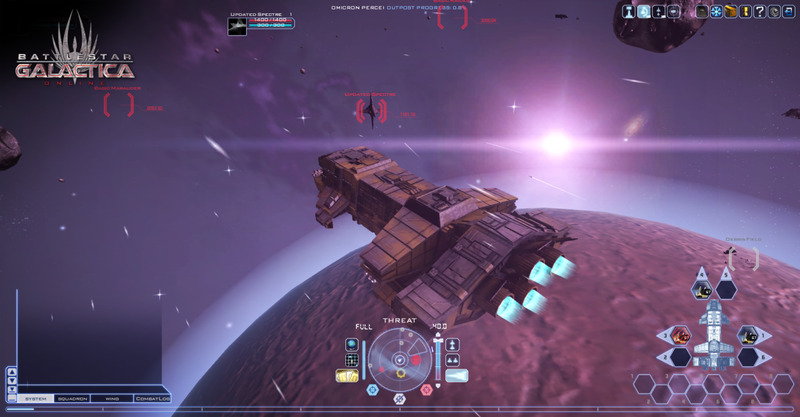 Battlestar Galactica Online is a browser game similar to Eve Online. 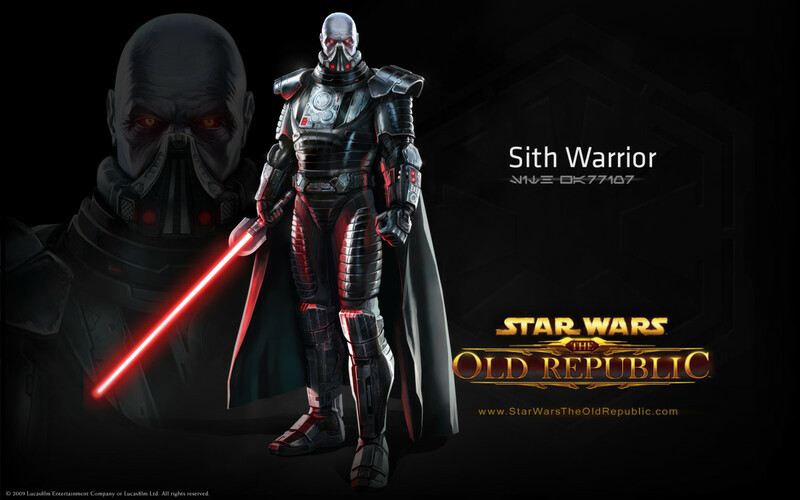 You can't expect much from the graphics, but it's actually pretty good for a browser game. 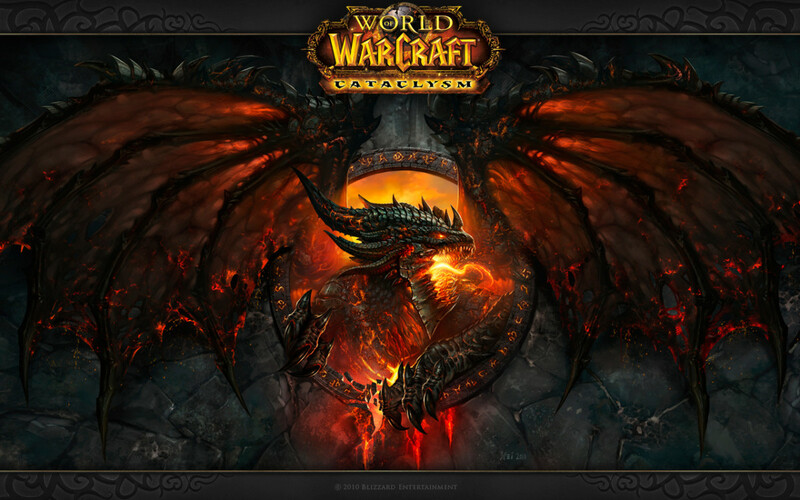 You might even think it's a client-based game when you enter full screen mode. The gaming experience in Battlestar can be really fun, especially with a huge population of players. You are definitely going to make friends along the way, as the chat features in the game are great. The downside in playing Battlestar Galactica is its PvE. Expect a ton of grinding in this game. If you want to make things easier though, whether in PvE or PvP, you can use real money to buy items and become stronger. 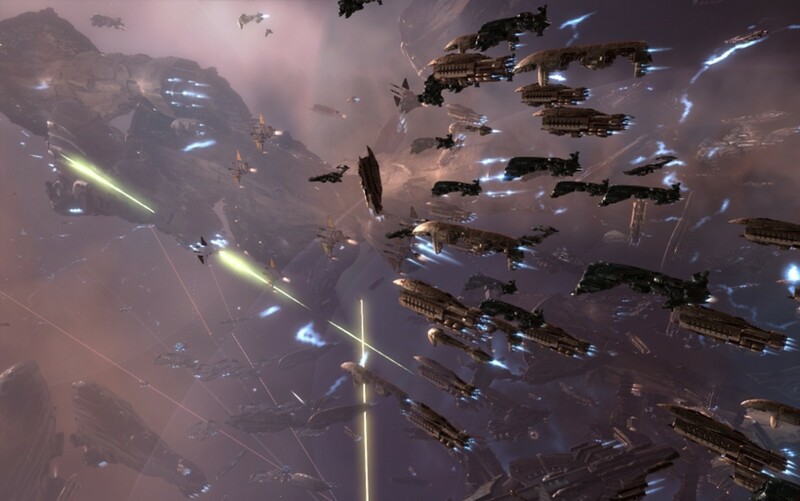 Which game like Eve Online will you play next? Warframe has the same art style like EvE Online. Both of them have very similar things ingame! I actually like that you included things like MechWarrior Online on this list, For me EVE Online is about the depth and sci-fi setting rather than just the space setting. I do not limit this list with purely space combat games. Many gamers out there are looking for games with similar gameplay, features, etc., and not one that exactly resembles EVE. How can mech piloting game, be similar to space ship piloting game ?! ?